FlyFoe Cherry Hill is a mosquito and tick control company that is protecting homes from dangerous bites this season. DUE TO MILD WINTERS, WARMER TEMPERATURES AND RAPID BREEDING, the United States has seen an increase in pest populations over recent years. The Center for Disease Control and Prevention has reported that diseases transmitted through the bites of ticks, mosquitoes and fleas have tripled nationwide since 2004. Given the staggering statistics, Phil Sargent felt like it was the right time to break into the pest management industry. 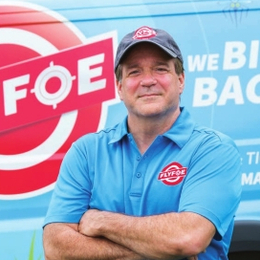 With over 10 years of experience owning and operating MaidPro Cherry Hill, Sargent has built a reputation of trust within the community and wants to expand that consumer protection with his new venture as owner of FlyFoe Cherry Hill. FlyFoe uses a unique and integrated system to ensure complete protection for your yard from mosquitoes, ticks and other pesky bugs. Their Top 8 Buzzer Beaters include a yard perimeter spray, inner yard and shrubbery spray, home foundation spray, larvicide application, property inspection, insect surveillance, perimeter wasp control and an ongoing yard report card. With a national team of certified entomologists who have spent their careers researching the pest management process, FlyFoe is able to safeguard your yard better and longer than their competitors. They’ve taken a fresh look at the industry and have reworked the traditional approach to mosquito and tick control. Their low-grade chemical pesticides ensure that FlyFoe is friendly to people, pets and even pollinators—technicians are trained to spray in a way that limits the impact on honeybees, which are an important part of your backyard’s ecosystem. Many of the vector-borne illnesses—such as Lyme disease, Zika virus and malaria—do not have vaccines or treatments. This means one bite could leave you or your family seriously ill. As these diseases continue to spread, it is imperative to use a mosquito and tick control service to mitigate your risk and give you peace of mind. Your FlyFoe technician will create a customized plan for your yard—taking into account your neighbors and how environmental factors play a part. What really sets FlyFoe apart is their ability to reduce pests at every stage of their lifecycle, not only the biting adults. FlyFoe combines all of their services into one simple package which means easy monthly billing, no large upfront payments and no extra fees. Their “Protect Me Guarantee” ensures that if at any time you don’t feel safe from mosquitoes and ticks, they will re-spray your yard free of charge. It’s time that the Cherry Hill area residents have a smarter solution for protecting their turf and Sargent is ready to help. 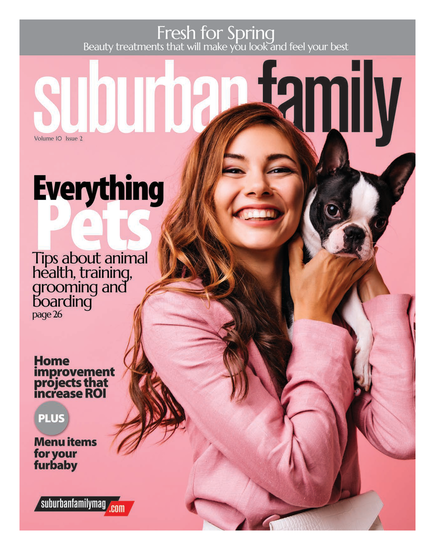 With the backing of a franchise that has over 20 years of experience, he is excited to be able to serve even more homes in Cherry Hill and the surrounding areas. An added bonus? FlyFoe is currently giving new customers their first spray free when signing up for a regular service. To get a free estimate for mosquito and tick control, visit FlyFoe.com. ?